Understanding threats to your network is the first step in defending against them. 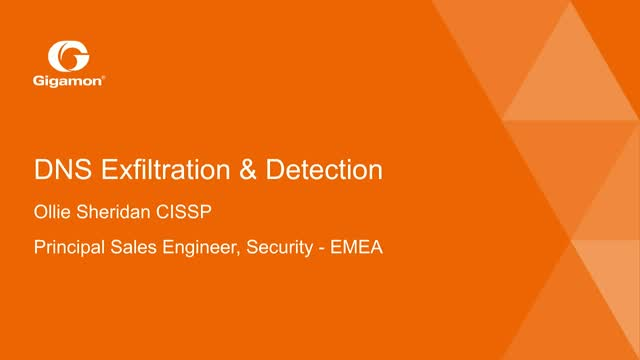 In this webinar, Ollie Sheridan, Principal Security Sales Engineer, will describe a widespread method used by Threat Actors for exfiltration of confidential data from networks: DNS Exfiltration. Maximise your investment in security and monitoring tools and learn how to catch these attacks. Don’t miss “Understanding DNS exfiltration and detection” - Sign up today!